Clever technology to impress you: Assemble without tools, design flexibly and advertise successfully. Illuminated walls, frames or counters – the highlights for any fair. Functionality and design combined optimally. Stable, flexible, high-quality. 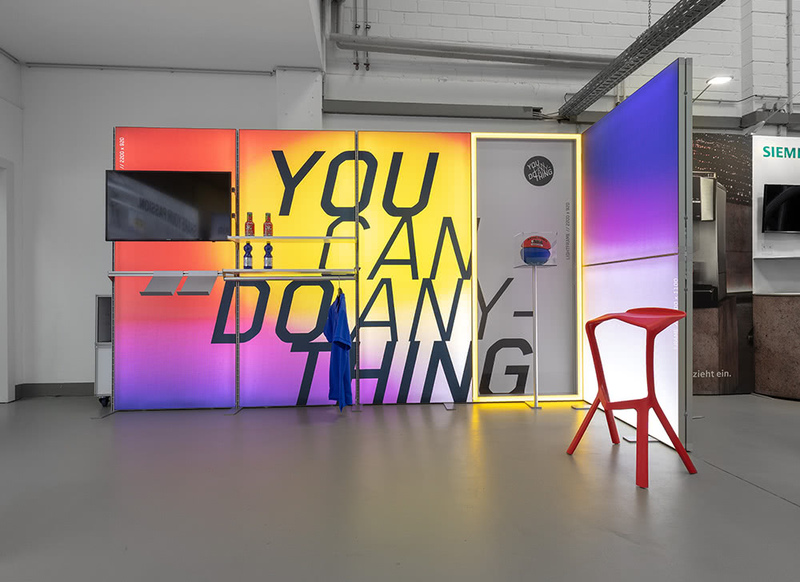 Modular and unique: Put your exhibition stand together yourself. 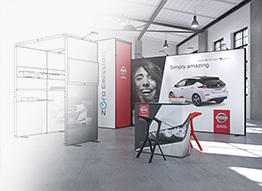 Would you like to buy an exhibition stand? 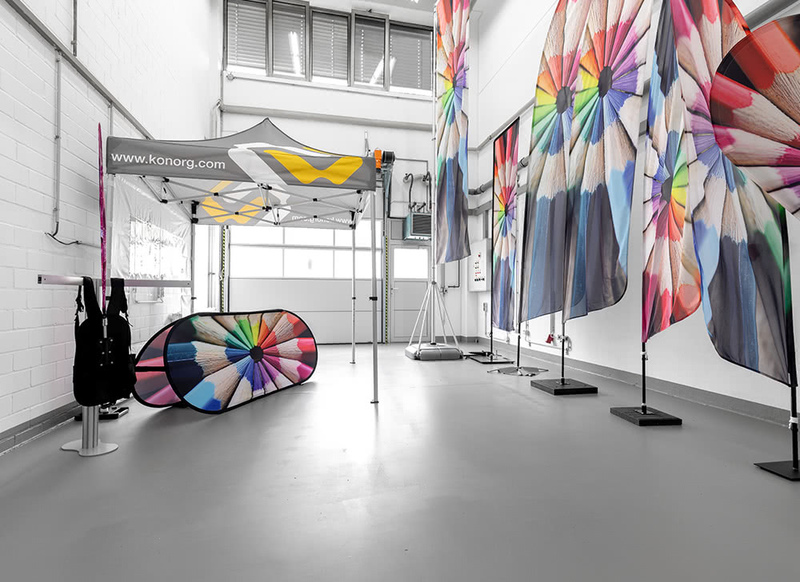 The KonOrg company group is an experienced trade fair professional and your competent point of contact if you wish to purchase an exhibition stand. 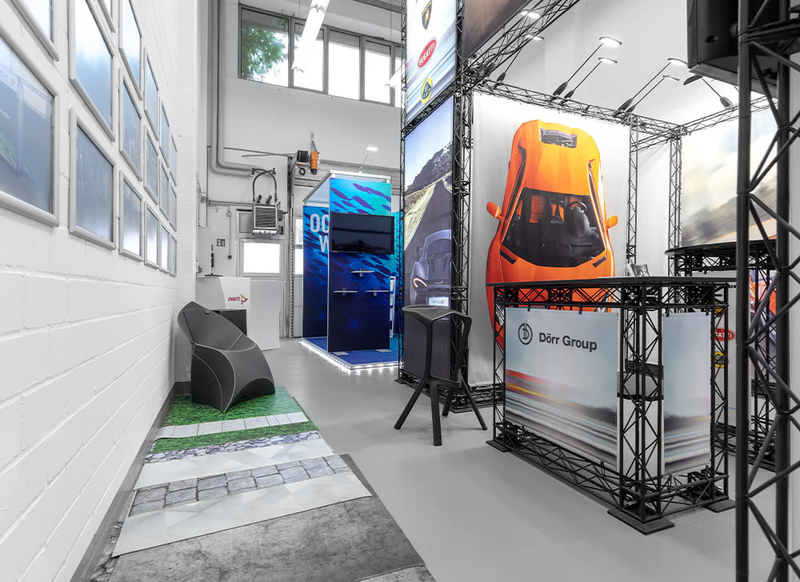 For over 20 years, the KonOrg company group has been developing fair concepts and exhibition stands which stand out above all thanks to their mobility, flexibility and intelligent systems. 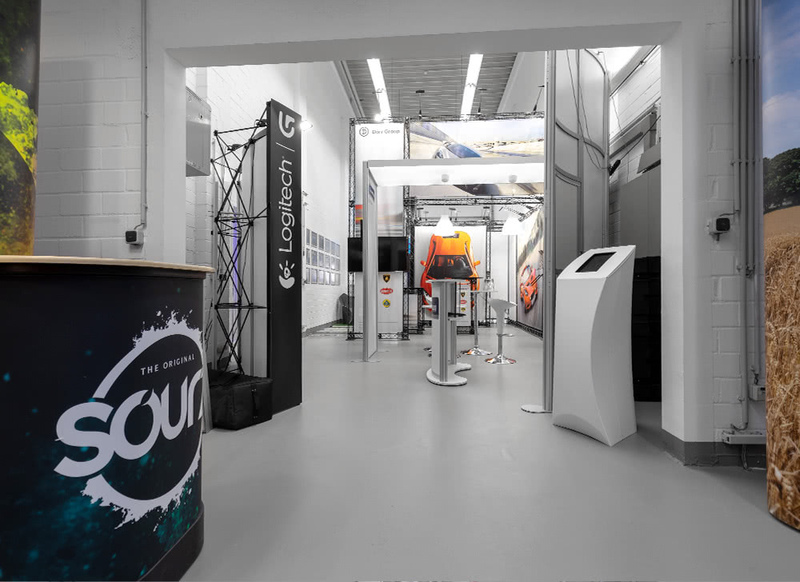 Would you like to buy or rent an exhibition stand? Then get more information here about the various options and about a company where you don’t just have the option of buying or renting an exhibition stand, but which offers you numerous services over and above this which will thrill you. Benefit from the cost-efficient fair systems of our mobile exhibition stands – and experience the top quality of this trade fair professional. Would you like to get to know the KonOrg company group personally and arrange a non-binding consultation? Then simply arrange an appointment at our showroom in Cologne. 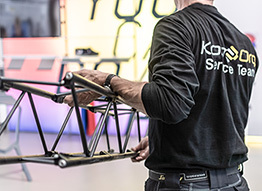 Functionality and design, perfectly combined: The modern Moduframe exhibition stand system consists of an aluminium core which ensures the best stability while remaining very lightweight. 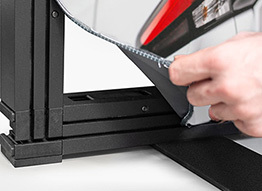 The practical connection system guarantees a comfortable, tool-free assembly and disassembly of the system. Intelligent technology which will impress you. The modules are available in black and white. Discover this high-quality, modular LED system which can be put together using a simple “building block” system. Flexible, individual, simple. 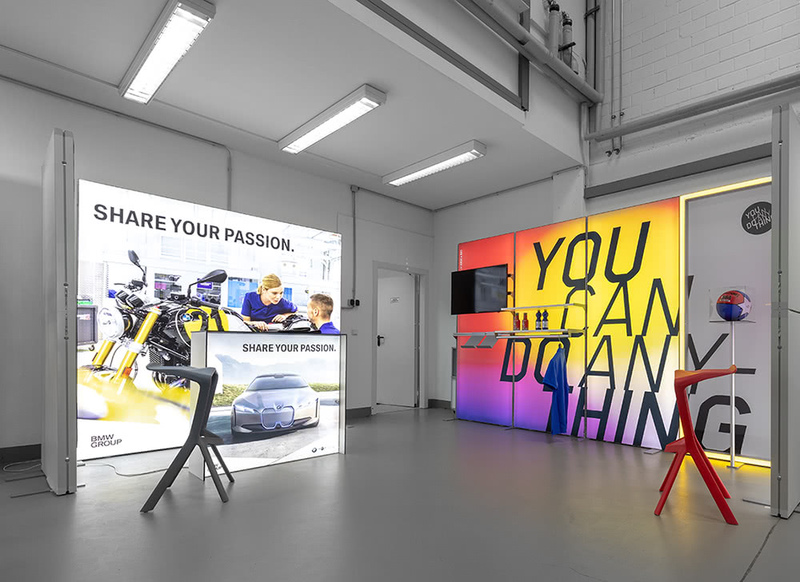 Whether it’s for an illuminated exhibition stand, display window or advertising technology – put your exhibition highlight together with high-quality illuminated frames, illuminated walls, illuminated counters and flexible LED modules. 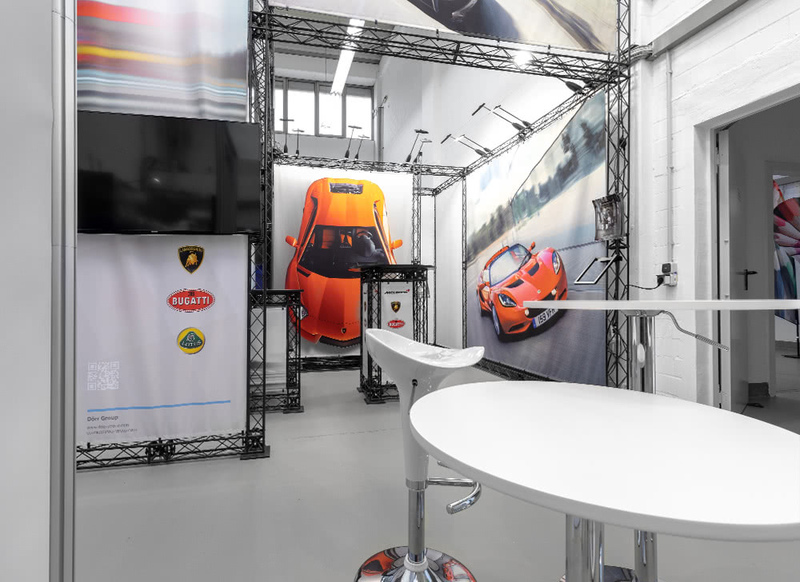 Exhibition stands from trusses are the perfect exhibition solution. The modern exhibition system consists of a stable aluminium core which is encased in plastic (black or white). This material combination ensures the optimum stability with a very light weight. 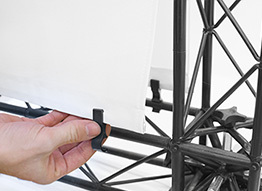 The practical connection system is completed with a metal screw and guarantees a completely tool-free assembly and disassembly of your exhibition stand. Exhibitions can be this simple! The modern exhibition systems Octawall and Octawall mobile can be put together in a modular and unique way. Numerous modules such as semi-circular exhibition walls, partitioned walls or a combo with Octanorm construction elements such as door systems or lighting elements can be realised. 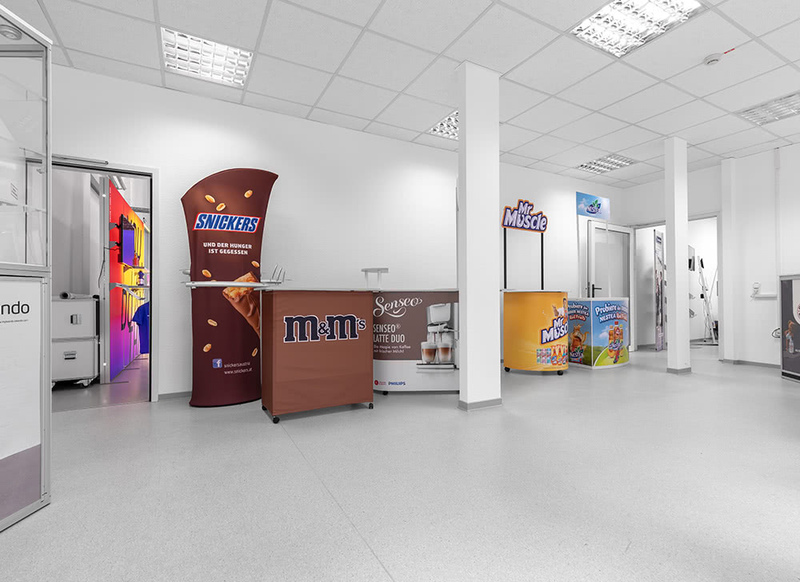 Available exhibition stands can later be expanded and rebuilt in a modular fashion. 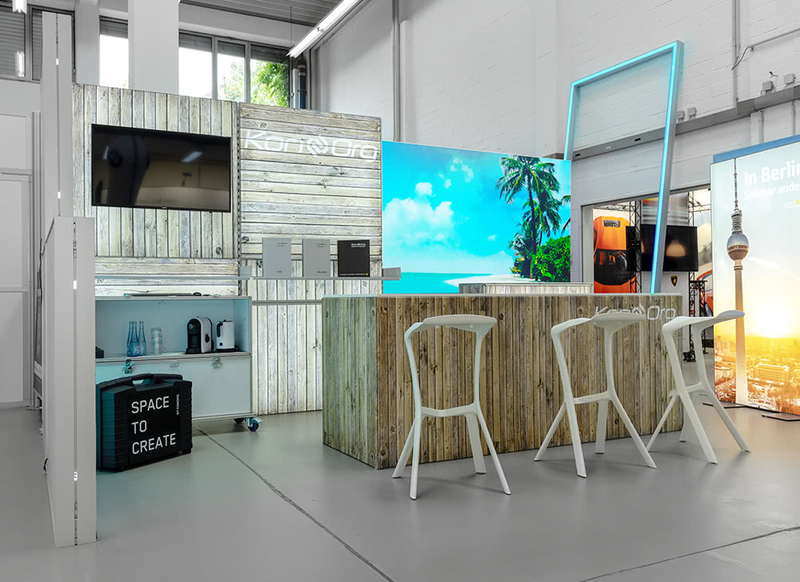 Since the start of the 1990s, the KonOrg company group has been producing and selling mobile displays, advertising walls, exhibition stands, counters, exhibition worktops and more. 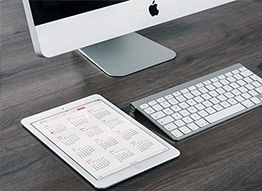 Over the last 20 years, KonOrg has grown from a qualified small business into a professional company. 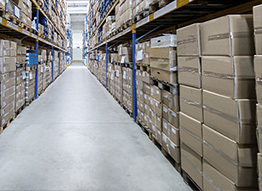 Today, at its main office in Cologne, you can find 2 service offices, the printing centre, a logistics area with warehouse, a large showroom and a dedicated workshop. As well as the production location in Cologne, KonOrg is also represented at other branches in locations across Germany. With our top-performing team, we are successful in finding new, precise solutions for our customers each and every day. Grounded specialist knowledge in the areas of production, logistics and graphics guarantee competent customer advice and quick, flexible order processing. 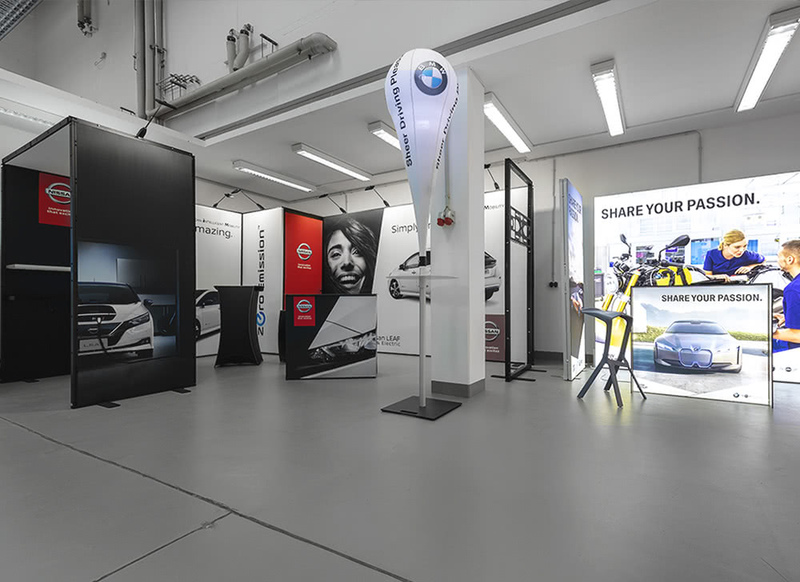 We are specialists when it comes to exhibition stands – both in the team and independently. We take pride in a job well done. This motivates us each day to give our best. Our testimonials are numerous satisfied customers and successful exhibition stand projects. 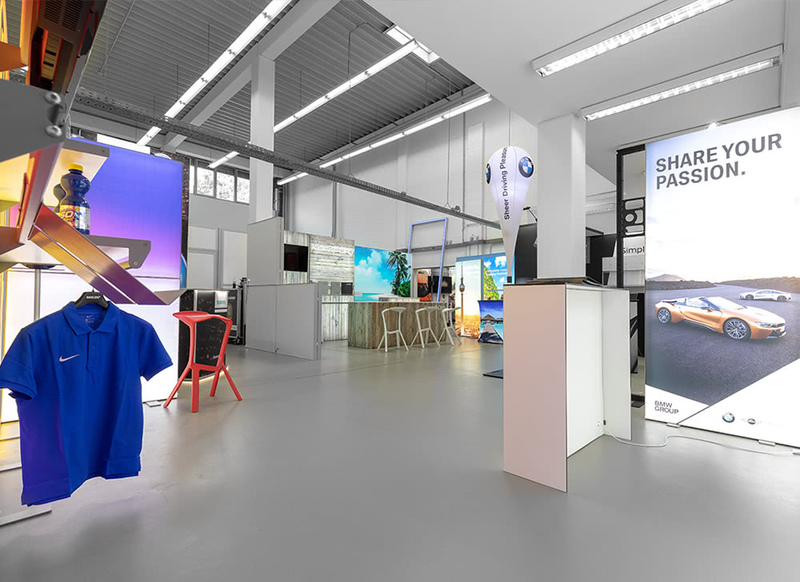 Would you like to buy or rent an exhibition stand? We can offer you professional advice and put together the perfect exhibition stand with you. We can support you with competence in designing and planning your exhibition and in implementing your new exhibition stand. Over 20 years’ experience has made us real exhibition pros! 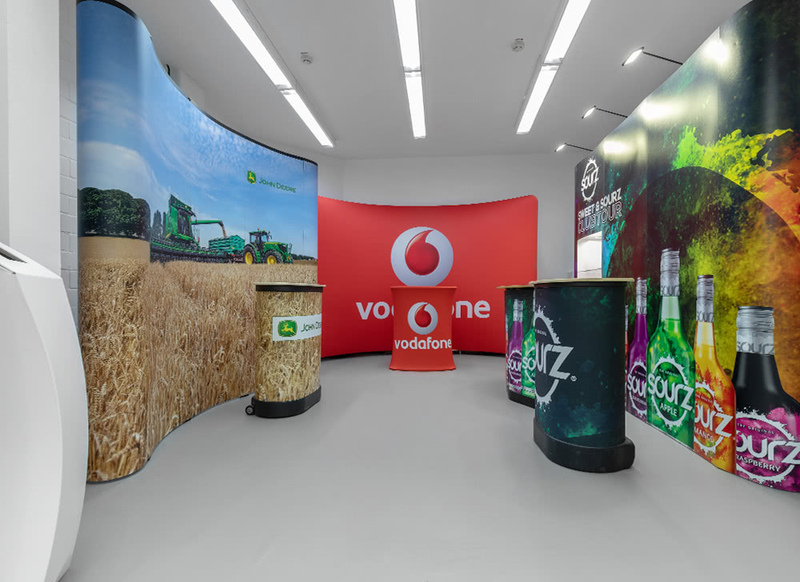 Before you purchase your exhibition stand, we can visualise your exhibition walls, accessories and printing for your exhibition stand in detail. This means you can get a picture of the result in advance. 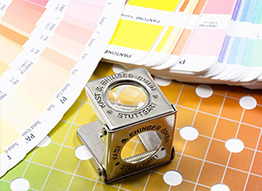 Our graphics team support you in producing the printed data – we also have different graphics packages on offer which you can optionally book in addition. With us, you will find a large selection of professional and affordable exhibition stands which you can rent as well as buy. We are happy to provide you with a quote for a rented exhibition stand. 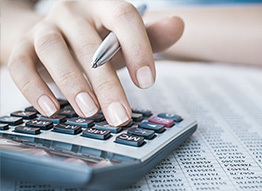 Simply use the advantages of your financing products – easy, flexible and without red tape. In cooperation with our bank, we can offer you the option of financing your desired exhibition solution. 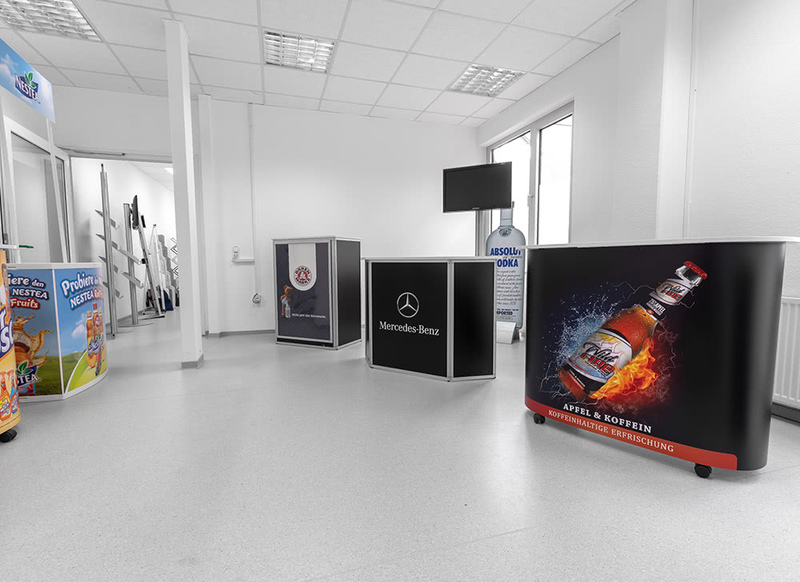 Our exhibition stands can be built easily and almost without the need of tools. However, if you should desire help when constructing your exhibition stand, we are happy to support you with trained personnel. 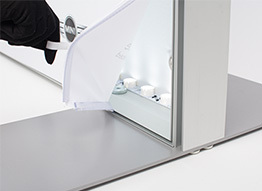 After the exhibition is before the exhibition– store your exhibition stand with us and ensure that your exhibition equipment retains its value in the best way. We can carry out small repairs in our dedicated workshop directly. 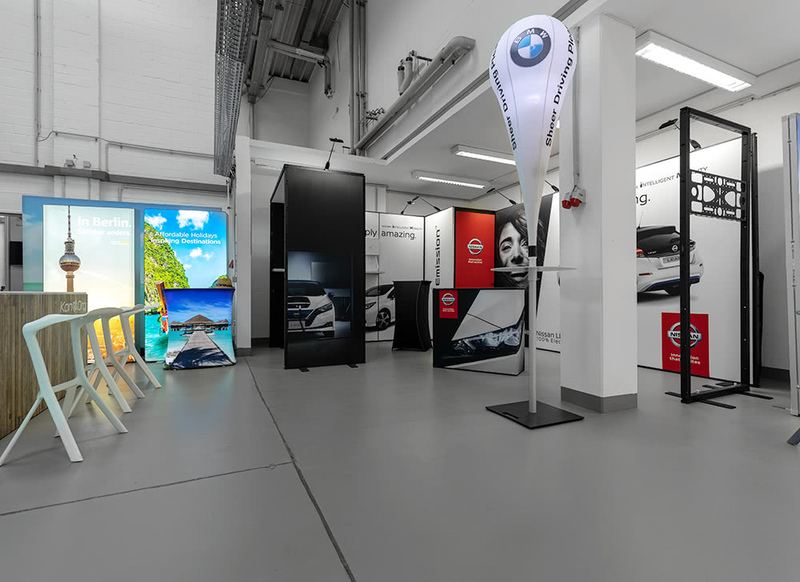 In our showroom in Cologne, you can learn more about the whole range of our offer. We take a great deal of time to advise you in the best way possible, simply let us know when suits you. Would you like an on-side consultation? 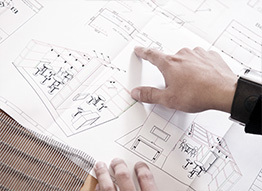 We can offer you the service of a non-binding on-site consultation. Just get in touch with us. Here, you can send us a sketch of your exhibition stand, for example.